We’ve been through plenty of fast-directory switchers, like j and j2, or z or popd and pushd, and a lot of others (and there are still more to come 🙄 ). But I don’t recall seeing something like bashmarks before, which lets you give a nickname to your path, and recall it in the future. 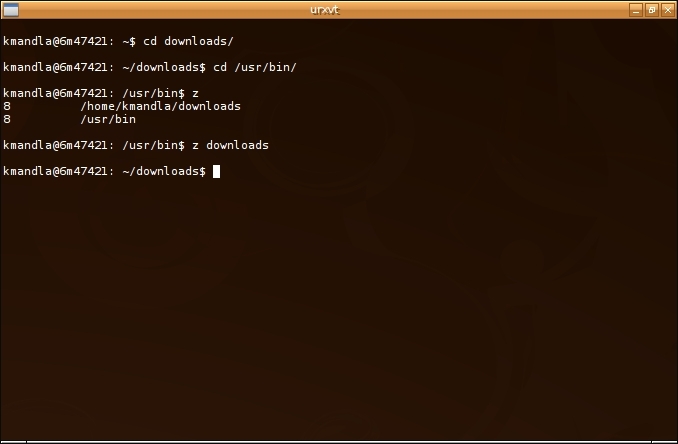 bashmarks works as a shell script you can either trigger through your .bashrc file, or source directly as you need it. 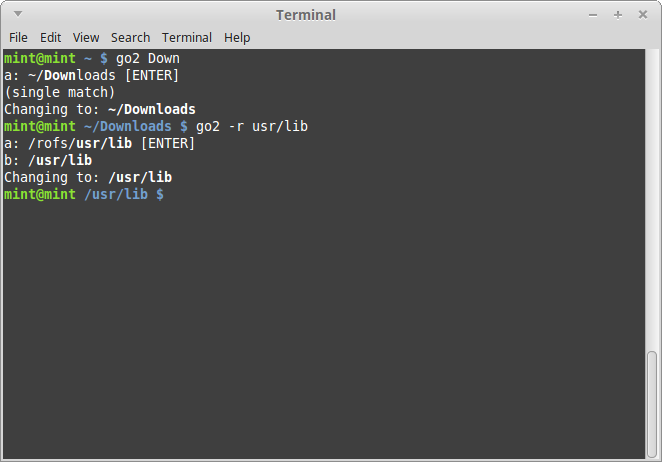 The git package offers to “install” it to .local/bin, but I found it just as usable in its raw form, sourced with . bashmarks/bashmarks.sh whenever I felt I wanted it. Once you’re hooked in, bashmarks gives you about five commands, all single letters that trigger or control nicknames to folders in your system: “s” saves a path, “g” goes to a path, “l” lists the bookmarks, “d” deletes one and “p” prints the path held in a bookmark. bashmarks saves its data in ~/.sdirs, and I doubt anyone would complain if you wanted to hand-edit that file, and still move seamlessly around your system. There are two big reasons I enjoy using this. The first is tab completion with bashmarks, which is such an obvious addition that it would be a huge mistake if it hadn’t been included. The difference between g d[TAB] to get to /home/kmandla/downloads and cd /h[TAB]/k[TAB]/d[TAB] is enough to make bashmarks a useful tool. The other reason is more philosophical, I suppose: If I was going to create some sort of “fast directory switching” tool, it would probably work like this. It’s the most obvious solution to me. I’ve seen a lot of other directory switching tools that use stacks or frequency or priorities to try and analyze and predict where I want to go. bashmarks takes the simple path, lets you assign names, and goes where you tell it. And it does that without compiling intricate binaries, background daemons or gnarled dependencies. And since I’m feeling generous today, and because it does such a bang-up job, I’m going to give out a K.Mandla gold star to bashmarks: ⭐ Don’t spend it all in one place. 😉 Enjoy! This entry was posted in Linux and tagged bookmark, directory, fast, shell, switch on 2014/10/30 by K.Mandla. When you think about it, rupa‘s v is a rather obvious little tool. v skims through your .viminfo file, plucks out the paths and names of files you recently edited, and then offers them back to you in a menu. Select one, and vim re-opens it for editing, no matter where you are in your tree. Nothing fancy, and an idea that’s probably fairly easy to figure out. v adds a few bonus tweaks, allowing you to automatically jump to number N on the list, with v -N. Files are ordered from latest to oldest, meaning v -1 is always the last file you opened. It’s also possible to filter the list of past files, or to include deleted files in the list. v is simple and clever and straightforward, and if you work with vim exclusively but bounce around a lot, it’s likely to be useful. Unfortunately — and there’s no practical way around this — I make a point of omitting any sort of vim history with set viminfo="" in my .vimrc. So unless I decide to change on that point, I’m afraid I personally won’t be adopting v any time soon. This entry was posted in Linux and tagged edit, fast, file, history, switch, text, vim on 2014/06/18 by K.Mandla. I’ve run across more than one fast directory switcher in the past 15 months, most notably fasd and j and j2. 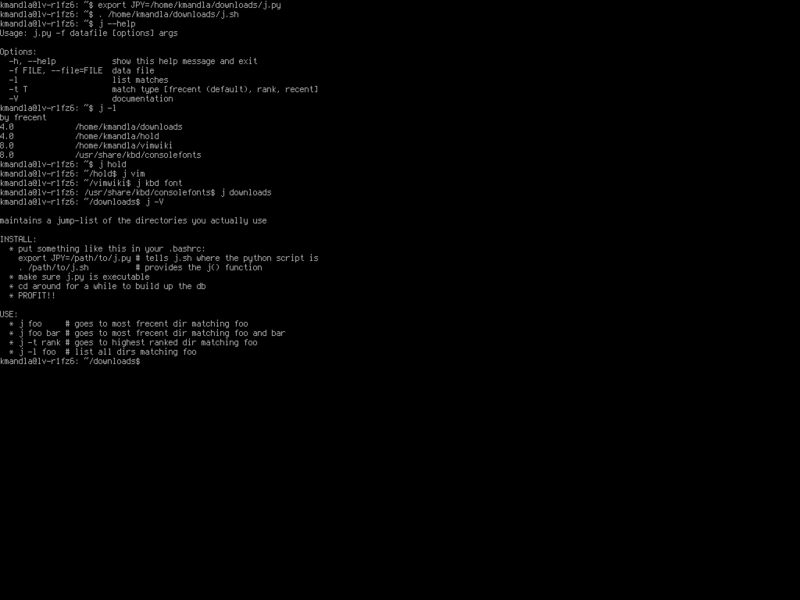 What you might not know is that the bash shell comes with a primitive fast directory switcher … of a sort. popd and pushd are built-in commands in bash (and zsh, I believe) that work with a manageable stack of directories that you can bounce between. And since it’s been a while since we actually dug in to one of these tools, it’s probably a good time for an in-depth look at pushd and popd. When I use pushd and a directory, I bounce straight to that location, and the path is put into the directory stack. pushd by itself effectively swaps entry Nos. 0 and 1. 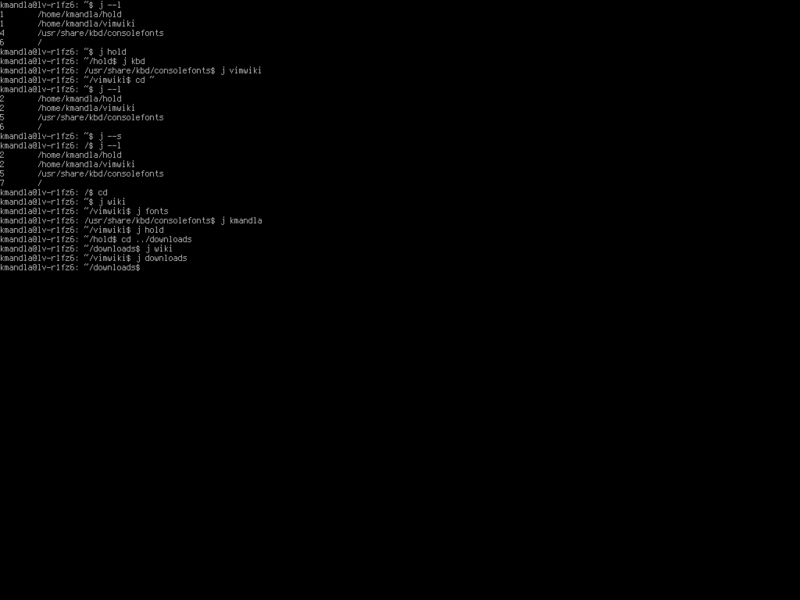 Either way, pushd‘s output is the current directory stack, from left to right, zero on up. I can check what’s in the stack and the order with dirs (I like dirs -v, personally). The stack works LIFO, meaning last-in-first-out: The last (or newest) item added to the the stack is the first one used. 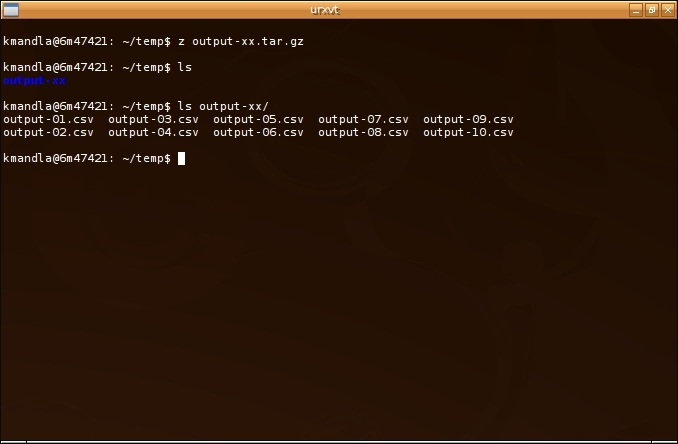 Zero (or the leftmost entry) is your current directory; you can cd to a new location without interfering with the stack. I can also add another destination if I like. Now I have three in the stack. If I want to bounce back to a previous directory, I use popd to “pop” out the zero entry and jump to No. 1 in the stack. Note that I jumped back to /usr/share, and that /lib/kernel was removed from the list. The whole stack shuffles up one space. If I had a lot of directories in the stack, I could successively popd through them until I arrived back where I began, and the stack would be empty. It’s not ideal if you have a series of directories you want to keep, and it’s hard to imagine how it works if you’re trying to visualize it like “bookmarks.” It’s not really like that at all. In fact, it might be easier to think of it like a stack of plates: You can “push” a plate onto the top of the stack, and then “pop” out whatever is on top. And aside from pushing and popping, there are some rudimentary management tricks. You can use dirs -c to clear the stack, -l lists them longhand and -p prints them in plain form. Using a plus or minus displays the number of entries from the left or right in the stack, respectively. Remember again that the leftmost is No. 0, and they increment as you move to the right. popd and pushd work differently with the plus or minus; popd “pops” out the Nth entry from the left with minus, and from the right with a plus. pushd rotates the stack a certain number of steps to the left or right, with plus or minus. 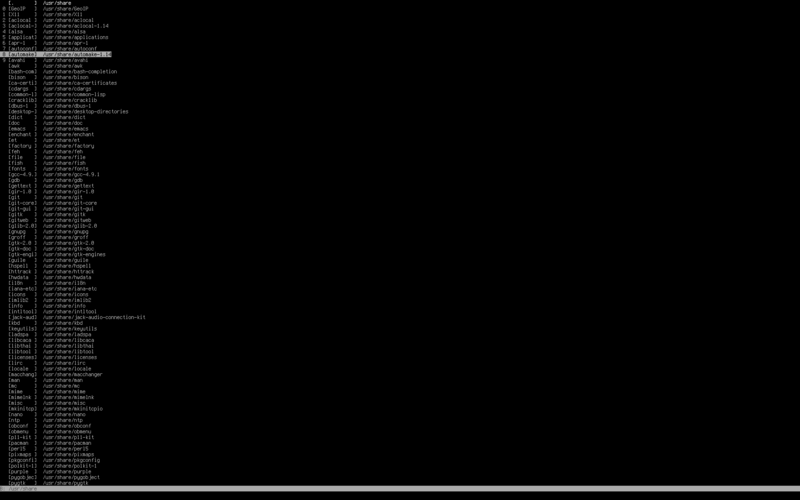 Note that each time, the list was shuffled and the current working directory changed. If you want more guidance, try the bash reference manual, or enter help with any of pushd, popd or dirs. The learning curve is not too steep, but it may take some getting used to. This entry was posted in Linux and tagged change, directory, fast, switch on 2014/03/09 by K.Mandla. I’m going to combine j and j2 today, mostly because they’re both by the same author, and one is a rethink of the other … which says to me they are close enough in behavior to warrant a lump post. As you can see, I had a lot better luck with j and j2 than I did with autojump or fasd. I like j2 in particular, for giving you the chance to use two arguments as a filter to pin down a particular directory. It looks like neither of these has been updated in a while, but they still work fine. I should mention that j2 apparently relies on some python. Old, old machines might suffer with that. Straight j, on the other hand, is just a shell script, so that might work better for you, or prove more portable. Either one is worth a look. This entry was posted in Linux and tagged change, directory, fast on 2013/12/10 by K.Mandla.